My biggest fear going in to see Cinderella was that the movie would be identical to the animation. Thankfully that was not the case as the movie provided a few twists to the classic tale but still kept most of the original themes intact. Brilliant performances especially by the well casted Lily James as Cinderella makes this a great addition to the Disney family of films. 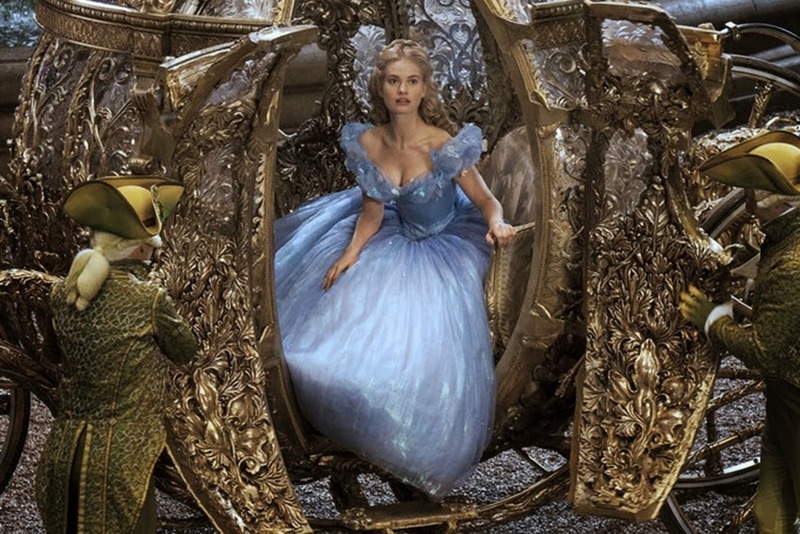 Most people have seen Cinderella, the animation originally released back in 1950. 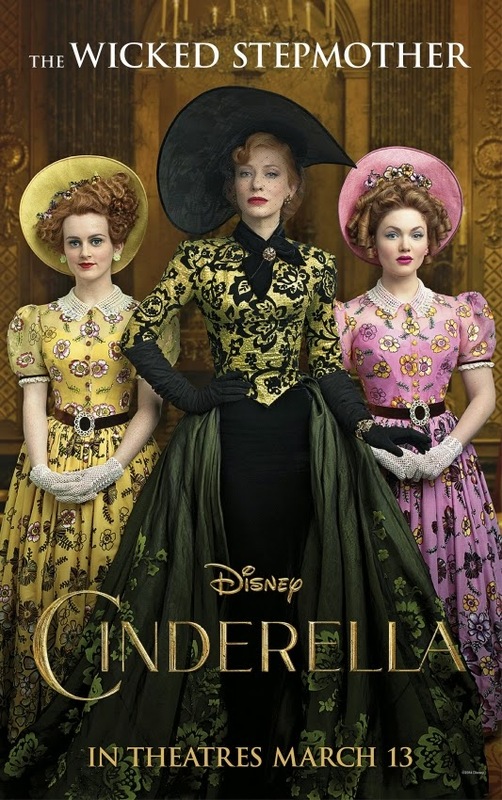 Not to give away too many of the twists, but the story starts off with a more drawn out origin of Cinderella in her youth and leading to Lady Tremaine becoming the head of the household and Cinderella reduced to a servant girl. While this adds length to the original film, it's actually pivotal to understand the kindness that we come to know from the character. As her mother (Hayley Atwell) tells her, to always "have courage, and be kind." Besides the wonderful acting by the cast, the beautiful scenic England where the Pirates of the Caribbean was also shot will have you in awe. From the set pieces such as the golden carriage, to Cinderella glass slippers and her beautiful blue dress will transport you to their world of fantasy. 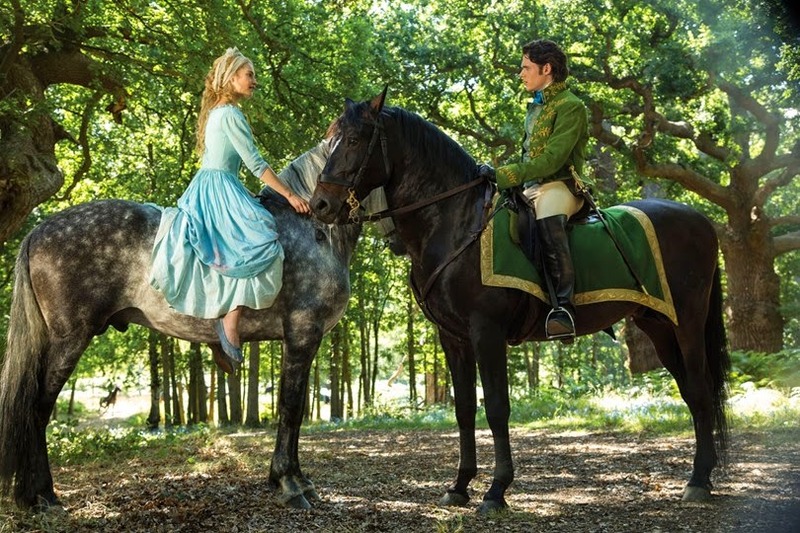 Unfortunately there are not as many musical numbers as you would expect from a Cinderella film. But that appears to be more the norm with their live action films using Maleficent as reference. Overall, I would strongly recommend this film, especially for families. The dialogue may not keep the interest of a toddler as well as the animation does. And Disney's propensity to kill of parents always seems a poor choice for me in children films. However, the film has enough humor and positive messages that I would recommend bringing yourself and older kids you may have. Note if you are planning to see this in theaters, be sure to arrive early to catch the nine minutes or so Frozen Fever short film. Extremely adorable and suitable for even the youngest of children.